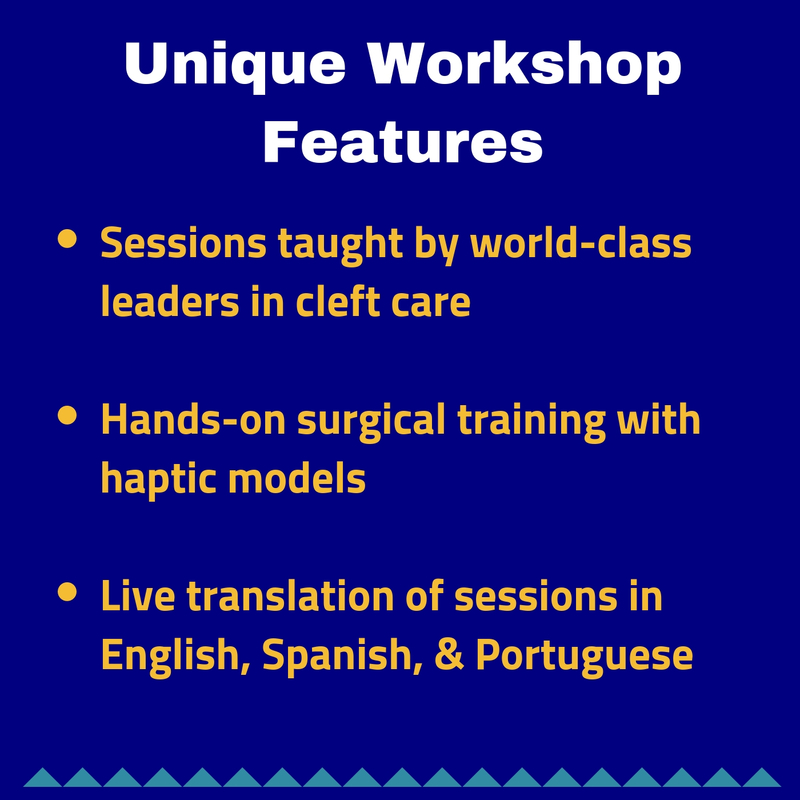 Delivered by some of the world’s most recognized and experienced cleft care experts, the 2019 Comprehensive Cleft Care Workshop (CCCW) will offer participants the highest quality training through an integrated, comprehensive approach to multidisciplinary care. Workshop attendees will engage in hands-on simulation sessions and clinically-oriented small team discussions. All sessions will be offered with live translation in English, Spanish, and Portuguese, and presentation materials will be translated as well.